1. Portable & easy to use. 2. The trimmer is made of high quality metal. 6. Cuts Pink & White,and sprays French air brush perfectly, no paper forms needed. 7. Use the Easy-French tool to cut a perfect smile line. 8. 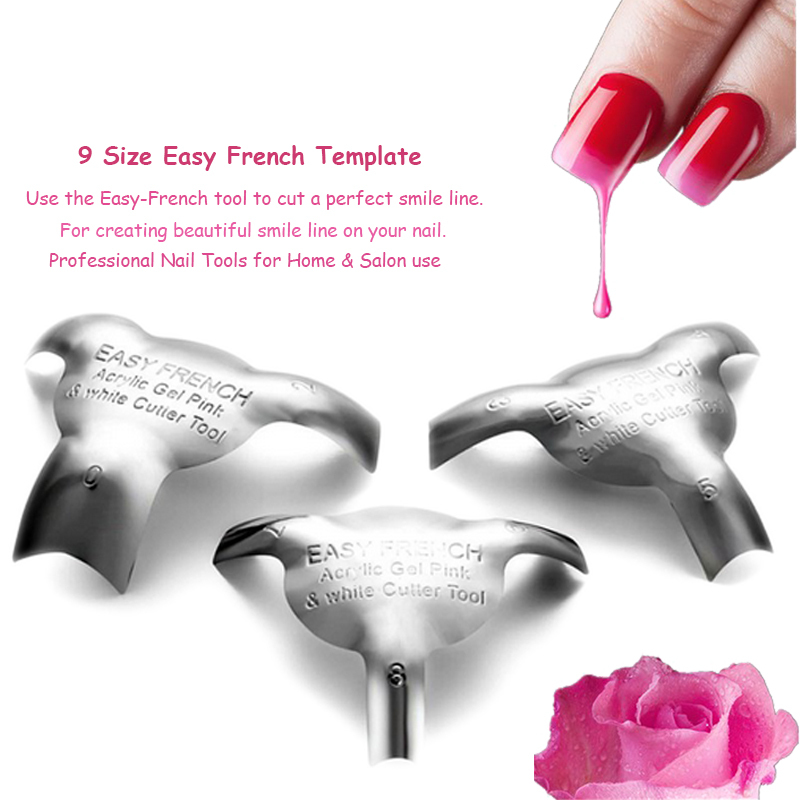 For creating beautiful smile line on your nail. 2. Allow the pink or white acrylic to dry for about 15 seconds before applying to the nailbed. 4. Apply the other color to the smile line. 2. Please leave us a message about your prefer type,or we will send by random. 3. Product packaging contains the quantity is in accordance with the type you choose to match.